Consistently one of the best 25 year old Scottish single malt. 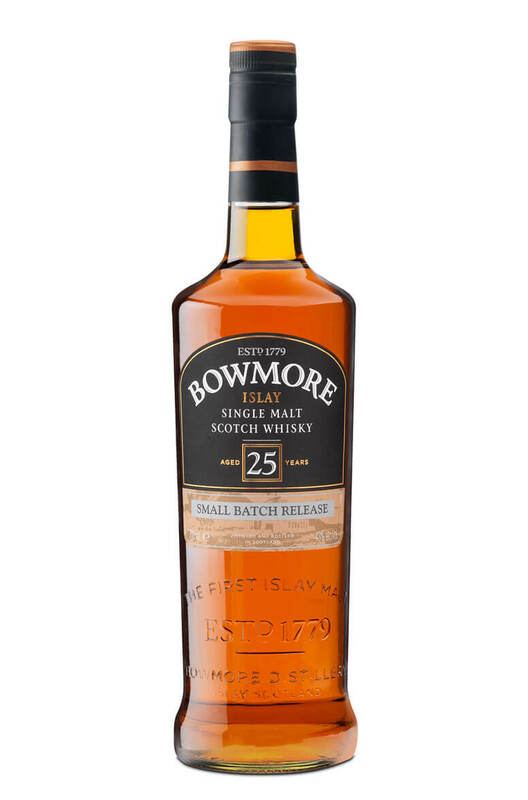 Bowmore has a fortunate knack of being capable of long, extended ageing. Some of the distillery's oldest bottlings are amongst the most highly collectible in the world. This has a rich and complex character with a wonderful combination of chocolate, dried fruit, roasted nut and pungent smoke flavours. This is a handy three pack selection of some of Bowmore's best selling whiskies. Each pack contai.. Entirely matured in ex-Bourbon barrels which are made up of a combination of 1st fill and 2nd fill t.. The third and final instalment of The Devils Casks range from Bowmore. This is a BIG whisky with a l.. The first release of four whiskies in this limited edition series, the Bowmore Vaults Edition 1 Atla..